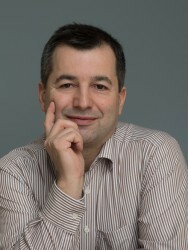 The implementation and operation of Cloud-So­lu­tions, especially by SAP SuccessFactors, enable a consumption-orientated accounting system, offer the necessary up-to-date information, combined with a high availability and scalability, support a rapid innovation outcome and enable a quick entry into productive application. These criteria can be im­ple­men­ted with a transformation support of the existing processes and the configuration of the HR processes on the basis of the standards made available by the SAP SuccessFactors Cloud Solution. By means of Best-Practice inspection the definition of the relevant specific customer applications and related processing steps is supported and brought together for attainment of the defined strategic and professional objectives derived from it. The cloud-based HCM-Processes are analysed and documented on the basis of the overall summarised Best-Practice-Processes of the SAP SuccessFactors System as well as on the basis of your company strategy and defined application scenarios, with the objective of creating and putting into writing the performance description of the future resolution portfolio. The main objective is to visualise the HCM-Processes to be illustrated and prepare the information base for future innovation outcome. Taking into account your own application scenarios and company orientation, inclusive of HR-strategy, the testing instance is implemented by means of the Best-Practice-Configuration and is tested and trained in the subsequent iteration step (iteration 1). The first Best-Practice-Configuration of the system, which already takes into account your customer-specific appli­cation scenarios and professional objectives identified in the preparation phase, outlines the basis for the refine­ment and adaptation of individual require­ments, within the scope of the first iterative step, which are identified and recognised by you in the course of the work and increasing familiarity with the SuccessFactors resolution. The configured and, from end-user perspective, trained resolution is re-examined and refined with your necessary customer-specific HR-capacity and is re-configured and finalised in a second iterative step (iteration 2). Following initial experiences of the system and your feedback from the first preceding iteration step, the examined applications are supplemented with the necessary customer-specific application contents and associated information, such as value sets and selection, drop-down lists. The second training measure focuses on the administrative side of the process, where your administrators acquire the necessary knowledge for the ongoing operation and support of the new resolution. The necessary Change-Management-Measures, training prepa­ration and, under the circumstances, also training completion for the end-user of the system, are integral components of this phase. On the basis of the corrected and revised configuration the preparation of the live product launch is initiated and the necessary Change-Management-Measures and user trainings are implemented. Based on the final liability disclaiming of the system configuration (test instance) the live product launch (productive instance) is initiated. The support of the productive resolution can be administered by the trained customer administrators, and the productive test, as well as the examination of the correctly adopted configurations and HR-content, is implemented within the relevant departments. The technical system documentation is finalised and the support handed over. On approval of the system, utilisation by your end users begins and the project is concluded. The implementation of SAP SuccessFactors or general Cloud Services solutions is supported considerably by a versatile project procedure. The focus of a SAP SuccessFactors project is the configuration of the HCM-processes based on the standards supplied by the Cloud-Solution. Within the scope of the technical possibilities offered by SuccessFactors, customer specific solutions can be implemented (metadata framework), but these are only necessary in the rarest of cases because the adap­tation of individual customer business processes to the standard shows a better cost-benefit ratio taking into account all necessary modification measures. In general, SAP SuccessFactors projects are aimed at configuration rather than development. This is to be fulfilled as a fundamental premise in the context of project management.